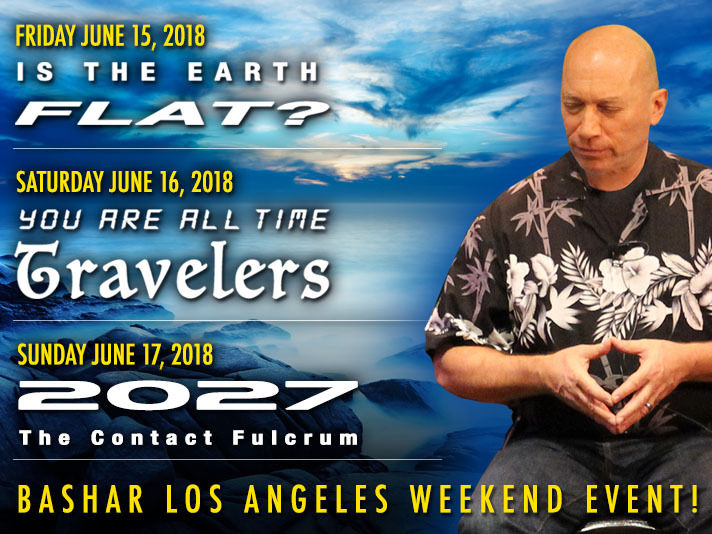 Bashar Los Angeles Weekend Event – June 15 – 16 – 17, 2018! Bashar returns to Los Angeles for a June weekend intensive event! Bashar explains what’s causing the growing debate at this time in our transformation about whether the Earth is a globe or whether it’s flat. *Early-bird discount expires 6-10-18. Regular price is $85. All ticket sales are final.